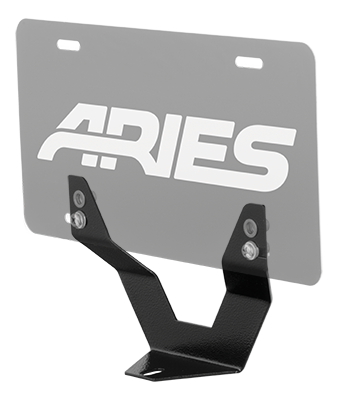 Buy License Plate Brackets at ARIES Automotive Keep your license plate securely mounted and in plain sight no matter which accessory you install with an ARIES license plate bracket. When installing an ARIES grille guard, bull bar or bumper, your vehicle's license plate may need to be relocated in order to remain legal on the road. We offer several different license plate relocation brackets to accommodate our various front-end accessories.